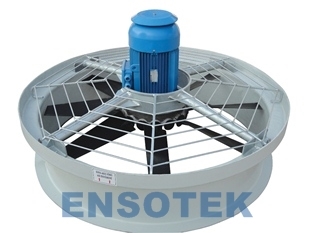 At the top of the tower (deck part), Electric Motor (or Motor + gear unit), works with fan and fan stack as a group. It takes the most important responsibility in cooling tower. It can be called as the heart of cooling tower. 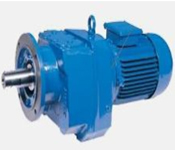 Electric Motors and gear units are used as vertical flanged type in V1 position. 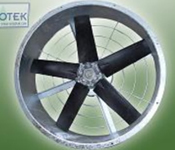 Electric motors are protected with IP 56 protection against F class isolated heat from dust, oil and humidity . All of our towers motors are manufactured as special. 1. IP 56 protection class is applied. 2.In connector box cable inputs, auto-plated cable unions are used so that floating waters over cable are prevented from getting into connector box. Additionally , it does not need to isolate the bottom of the unions after cable assembly.